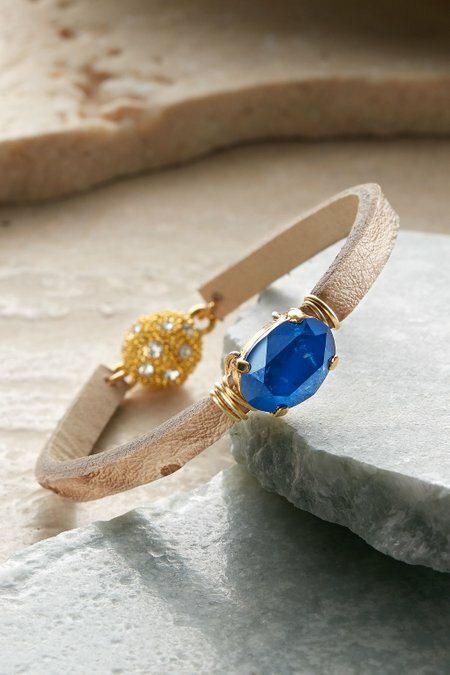 Named after the reflections in Lake Trasimeno, Italy, these alluring bracelets feature a large faceted stone edged by delicate golden strands, all balanced with a sleek leather band. Perfect for wearing alone, or layering with watches or other bracelets, Robin loves the put-together vibe of these Italian inspired pieces. In three irresistible choices.